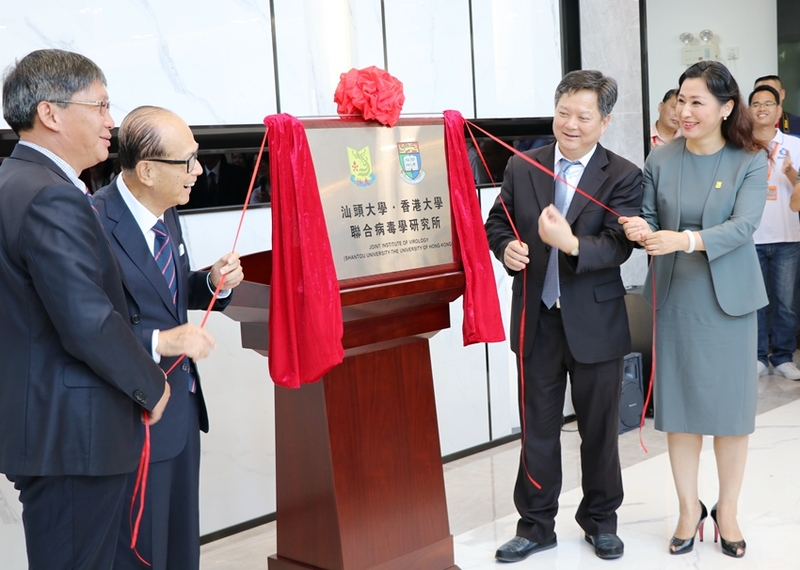 The new building of the Shantou University-The University of Hong Kong Joint Institute of Virology was inaugurated on June 28th, 2018. The new research building, funded by the Li Ka Shing Foundation, is a high quality earthquake-resistant structure with advanced equipment and facilities and the world’s top biosafety laboratories. 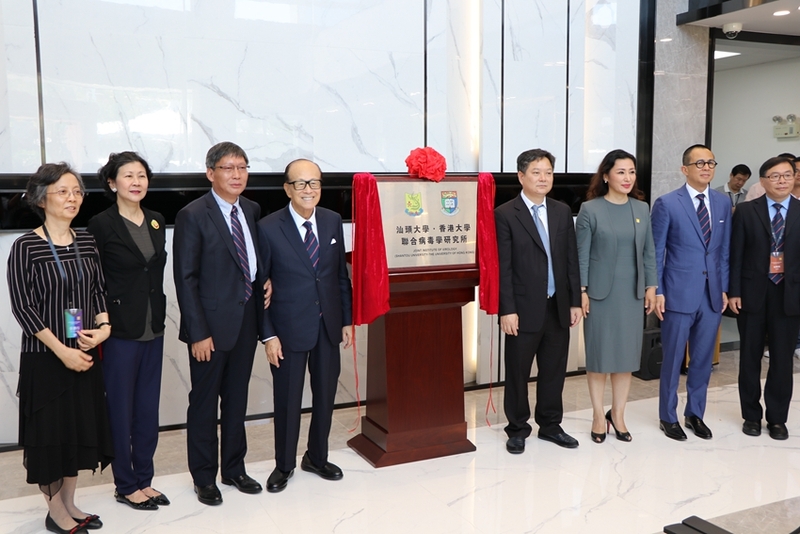 Mr Fang Lixu, Secretary of CPC Shantou Municipal Committee, Mr Li Ka-shing, Honorary Chairman of STU Council and Chairman of Li Ka Shing Foundation, Prof Jiang Hong, President and Party Secretary of STU, and Prof Yi Guan, Director of the Joint Institute of Virology jointly unveiled the plague of the new research building. 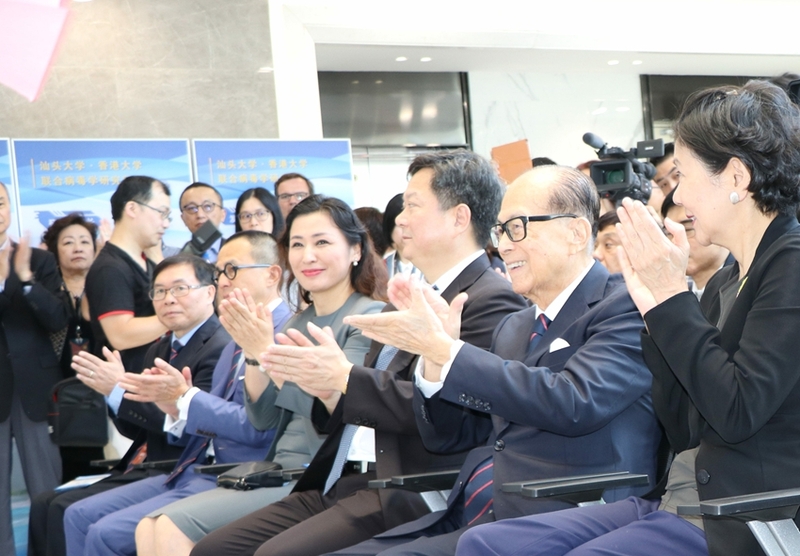 Other honorable attendants included Mr. Richard Li and Ms. Solina Chau from the Li Ka Shing Foundation, SUMC Executive Dean Junhui Bian, as well as Dr Frieda Law, Representative of Li Ka Shing Foundation Li Ka Shing Foundation at SUMC. 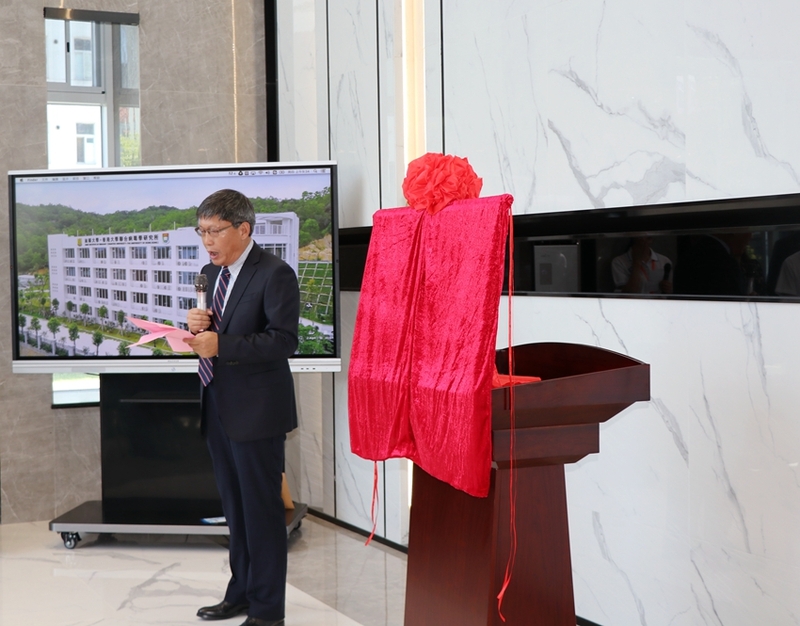 In his speech at the inauguration ceremony, Prof Yi Guan indicated that the Institute of Virology would advance its research from virus origins and evolution to virus pathogenesis and transmission so as to further improve treatment and prevention of infectious diseases. Prof Yi Guan is the Director of the State Key Laboratory of Emerging Infectious Diseases and the Shantou University-The University of Hong Kong Joint Institute of Virology. His research focuses on the ecology, evolution and pathogenesis of influenza and other emerging respiratory viruses. Over the past decade, his research team has remarkably contributed to research in virology and to the control of emerging infectious diseases in China and the world. He has published over 280 peer-reviewed articles with >26,000 citations and an h-index of 79. Prof Guan and his team received the Top Prize of 2017 National Science and Technology Progress Award for their outstanding research in emerging infectious diseases together with several other institutions.